Anyone who knows me, knows that I can get quite kr-A-nky (Eric is my witness….) when I don’t eat. I try to make my meals (snacks included) healthy but sometimes convenience and price play too much of a factor. (A hungry tummy needs food fast!) Fruit is always an easy and usually inexpensive snack option but as much as I love fruit sometimes I want something salty. Or crunchy. Or spicy. 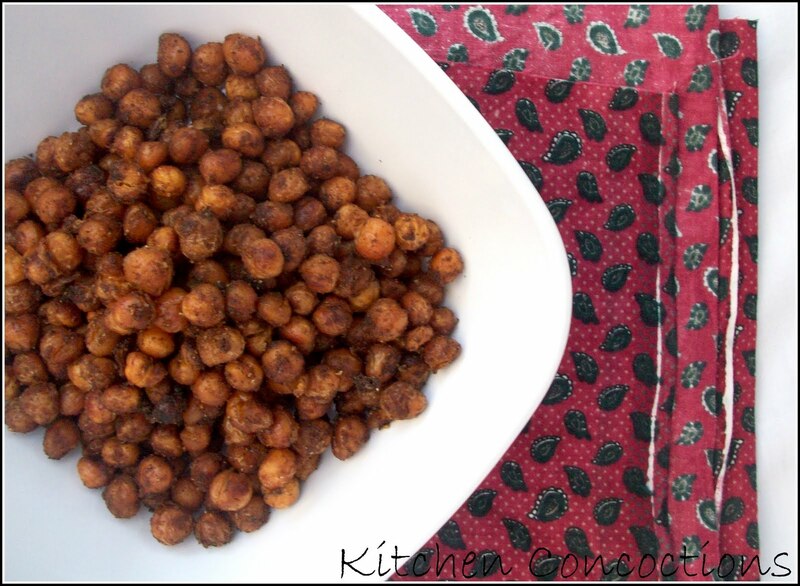 In comes these crunchy chickpeas. 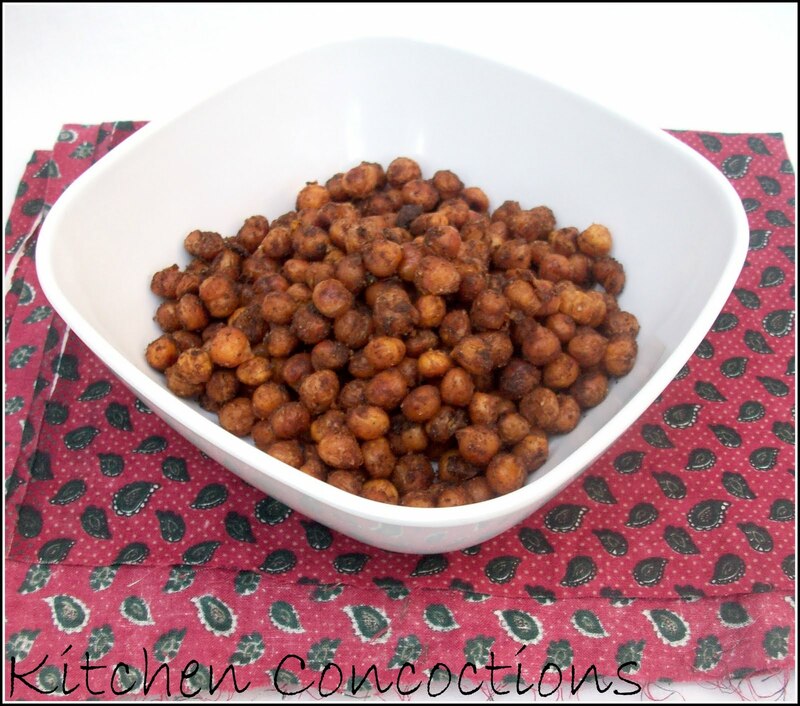 These are sooo easy to make, and while they do take 20 minutes to cook they are so worth it. I love it when healthy snacks make a happy mouth and yummy! 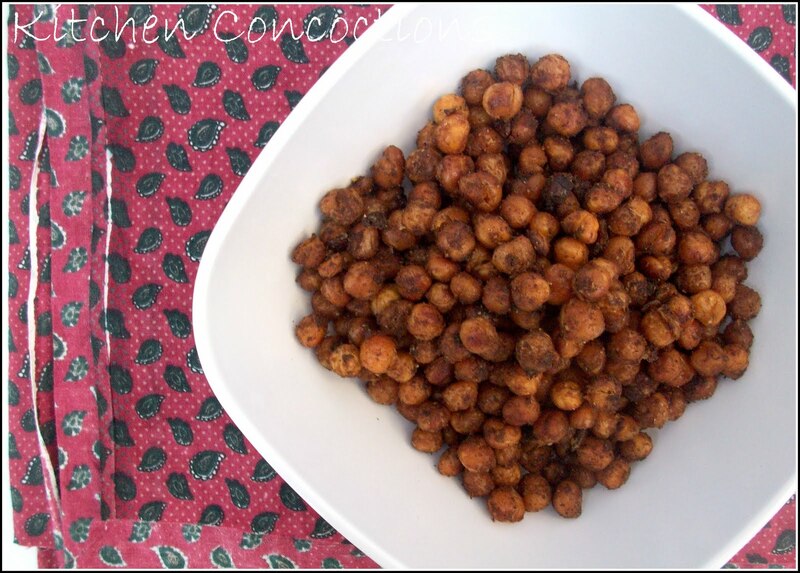 Cook drained chickpeas in an ovenproof skillet with olive oil and spices for 2 minutes. Bake for 20-25 minutes at 425 degrees F, until crunchy. « Do you do Meatless Mondays? I love these too. They are a guilt-free snack! Yum! What a great snack idea; I am a cranky beast when I am famished!